Traveling California Highway 120 from Manteca through Yosemite and to Lee Vining, California is an experience not to be missed when you want to view amazing Sierra Nevada scenery. Highway 120 begins in Manteca, California – 81 miles east of Oakland – and winds through farm country before entering the Stanislaus National Forest and finally Yosemite National Park. Once it passes through Chinese Camp, this highway becomes a truly scenic drive through the Sierra Nevada region. To access Highway 120 CA from Yosemite, you can go east, across Tioga Pass and into Lee Vining. From the west, you take Tioga Road heading towards Crane Flat and the western entrance to Yosemite National Park. This will take you to Chinese Camp, California, and eventually all the way to Manteca. 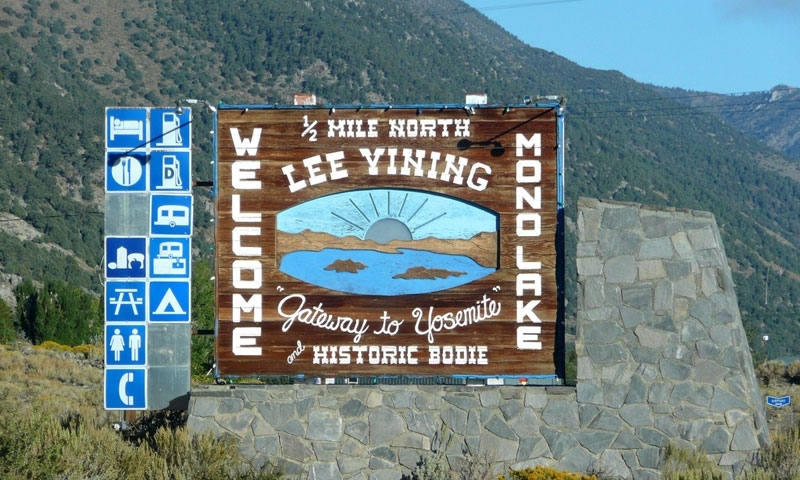 From Chinese Camp to Lee Vining, Highway 120 California takes you a scenic 104.7 miles or a two-hour and 21-minute drive. The Tioga Road section is closed in the winter due to snow. Hwy 120 is filled with sights that the whole family will enjoy. This historic town is worth a stop to see the Saint Francis Xavier Roman Catholic Church, built in 1855. While there you should also visit the post office building that was erected in 1854. This town was established during the Gold Rush era. A popular tourist stop is the Iron Door Saloon, entertaining visitors since 1852. Enter this famous saloon to see the original bar and many historical artifacts. Enjoy live music on weekends. This river offers great fun in whitewater rafting, scenic hiking along its shores and wonderful camping sites. Once inside Yosemite National Park, you will have easy access to the groves of Giant Sequoias, just a short hike from the road. Visitors are usually stunned by the size of these trees. At the Tuolumne Grove you can walk a self-guided nature trail. 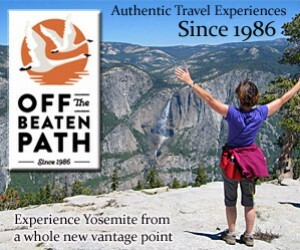 Coming to Yosemite to camp? Off Highway 120, as it turns into Tioga Road, you’ll discover Crane Flat is a wonderful shaded campground at an elevation of 6,200 feet. Where Highway 120 ends, you’ll find Lee Vining, California, with Mono Lake right next door. Visit the Upside-Down House while you’re here, a very distinctive local landmark.